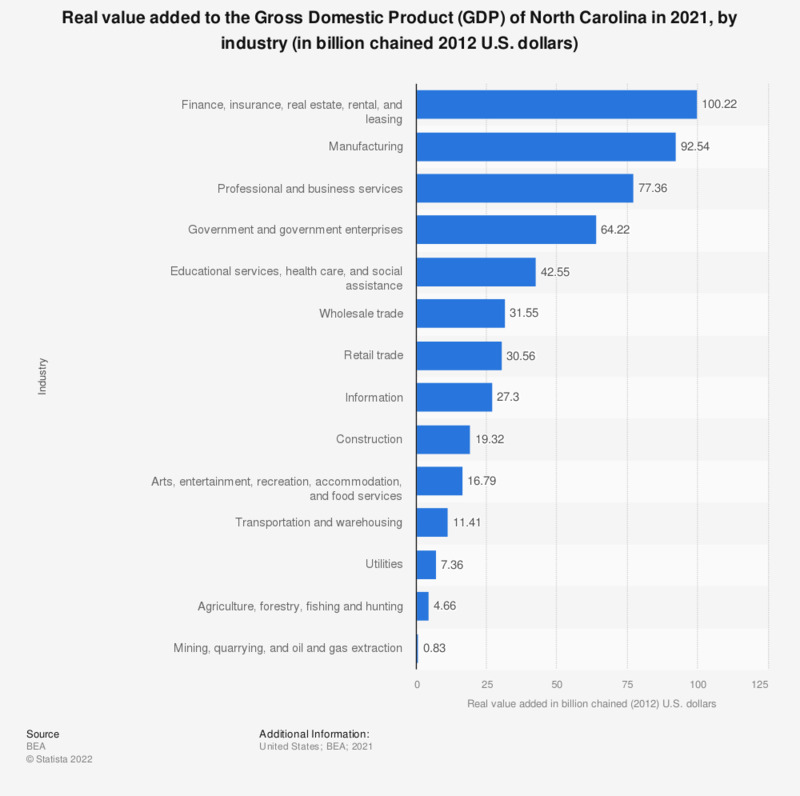 This graph shows the real value added to the Gross Domestic Product (GDP) of North Carolina in 2017, by industry. In 2017, the construction industry added around 16.4 million chained 2009 U.S. dollars of value to the state GDP. Fuel mix: West South Central U.S.